In the age of technology, wanting to keep up with the latest trends is normal. The same thing goes for electronics. But at what point do you decide to make the switch and what do you do with your current TVs or computers? Zimmerman TV proudly partners with Regional Computer Recycling & Recovery, an environmentally friendly way to dispose of electronics that have exceeded their useful lives. Do Repair. A broken tv may feel like the end of the world (especially during football season) but Zimmerman TV has over 25 years of experience in TV repair. Before you go and buy a brand new tv, bring it to Zimmerman TV and let us get your equipment back in proper working over. Do Donate. Not everyone is fortunate enough to afford a TV or computer. When your used computer or TV still function properly, consider donating them to local charities or other organizations that give old electronics to those who cannot afford new ones. Do Sell. Amazon, eBay, and Craiglist have changed the way we shop online. Rather than put old electronics to the curb, try selling them online and get a little cash back for your efforts. Do Erase Your Computer. If you’re going to put your computer to the curb, make sure you erase it first. Never leave personal or confidential on a machine as you run the risk of identity theft. Don’t Put Your TV To The Curb. 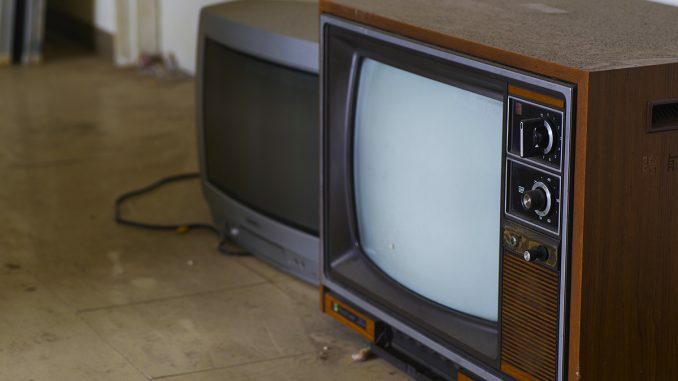 Old televisions sets can contain approximately 4-8 pounds of lead, a neurotoxin. These harmful chemicals can leak into the ground, affecting the soil quality. Zimmerman TV can recycle most types of electronics at no charge. To find out what we are able to accept, please call us before you bring your items in. We accept items for recycling during normal business hours only.